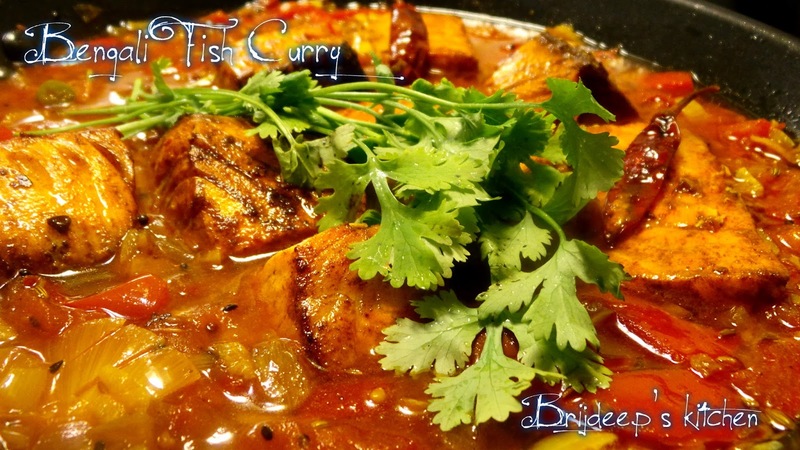 Neither am I from Bengal nor do I have any connection to Bengal, but still sharing a Bengali Fish curry recipe; and no, this is not an online recipe I tried. This is a recipe I got from a dear friend Writu who is a fun loving and cheerful Bengali girl and her name means season (ऋतु). I have never met anyone with a name beginning from letter 'W' and so when I heard her name for the first time, I believed her name spells as Ritu. There was a big confusion around her name and I once messed up things for her because of how her name was spelled and I thought it was something else; and then in a guilty attempt of getting things right for her, we became close friends. 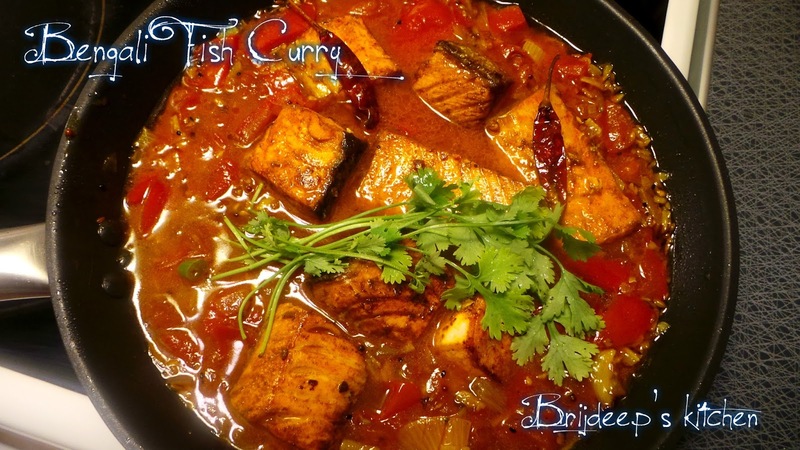 Today we have drifted apart as friends but I still remember the time I had this simple yet subtle taste of fish curry with rice at her place, and she wrote the basic recipe her mom and she follows for the fish curry. 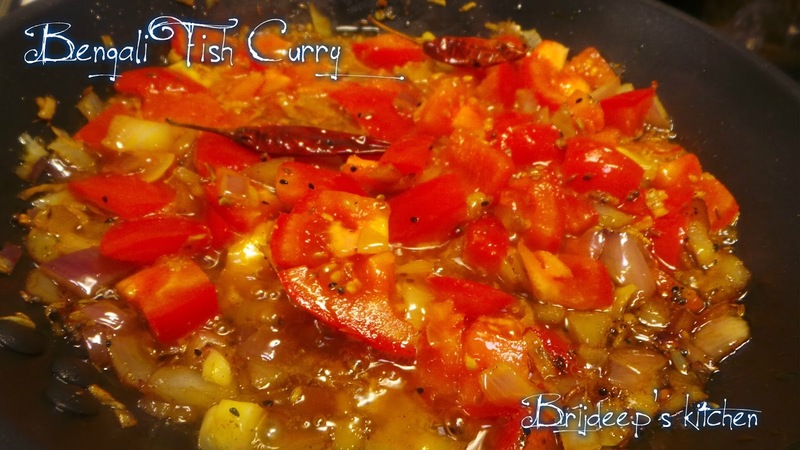 This blog did not exist at that time and the memories of the recipe and the fish curry also faded as the friendship drifted apart. But last year, when I visited my parents in India, I was going through my old things in the wardrobe and there I found in an old diary a dusty page stuck in the diary with this amazing recipe and on the top was written her name "Writu". All the old memories came back of the awesome time we had, and I decided to try the recipe in my kitchen. I can't say for sure if this is an authentic recipe or is this how it is made in all or many Bengali households, but that's what she told me and said this is a very basic recipe. Black cumin seeds: 1/4 tsp. 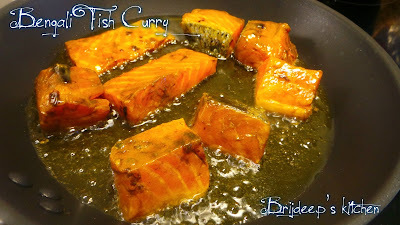 Wash and clean the fish fillets and marinate them with salt, 1/2 tsp. red chilli powder, turmeric, 1 tsp. mustard oil and tamarind for 20 minutes. Heat the remaining mustard oil and fry the fish from both sides, flipping alternatively so that it cooks nicely from both sides. Drain and remove, keep aside. 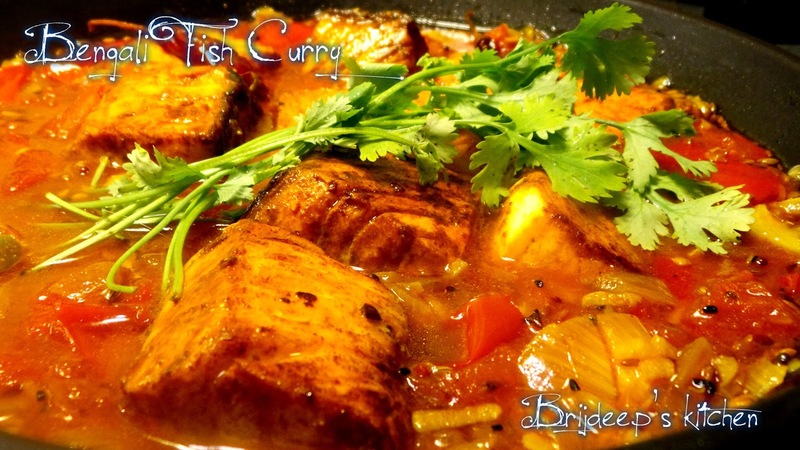 Heat the same oil and add the panch phoran or the five spice mix (cumin, mustard, fennel, black cumin and fenugreek). When they crackle, add the dried red chilli and add ginger-garlic after few seconds. Let cook until the raw smell goes away. Add the onions and fry until they are transparent and beginning to get brown; but don't let them brown. Add the tomato and green chilli and sprinkle little salt. Cover and let cook for 5-7 minutes until the tomatoes are soft and mushy. Remove cover, add the red chilli powder and mix well. Add a cup of water and cover again for 15 minutes on medium flame. Remove cover. The entire curry will be done and the tomatoes and the masala is nicely absorbed together. Let cook uncovered for 5 more minutes. Turn off the flame and add fried fish pieces. 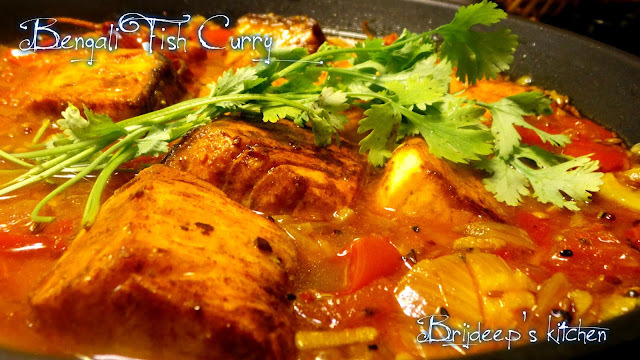 Cover and leave for 10 minutes so that the fish absorbs the curry's flavor in the steam. Remove cover and garnish with fresh coriander leaves and serve with rice.